I have a couple of Lancome Lipsticks which I save only for clients! I tend to pick it up for my more mature, classy clients as that is what I feel about most Lancome lipsticks. Not until I saw this ad...what's in my mind? "Emma Watson! Don't do that do your Lancome lipstick!" *laughs* With Emma Watson as their model, the lip colors must be hip, fun and vibrant! After a quick visit at the Lancome Counter at Rustan's Shangri-La Mall a couple of weeks ago, I'm happy to say, I'm right (again) *beams* :P ! Doesn't settle in lip lines. Nice, "true to tube" , pigmented shades. Has wide array of shades good for day 'til night. I saw the full sized packaging at Lancome Counter and they don't look boring! Stays on even after drinking and eating! I'm surprised I came home with still a good hint of lip color even though it was completely a "no retouch night". I believe this line is permanent. Price. Though the concept of changing lipsticks depending on the time of day is wonderful, it is a bit pricey to do so. 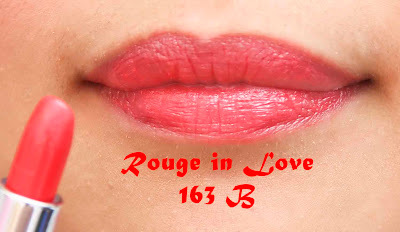 Pigmented lip color that hugs your lips and stays for longer hours and moisturizes the lips blurring out lip lines. 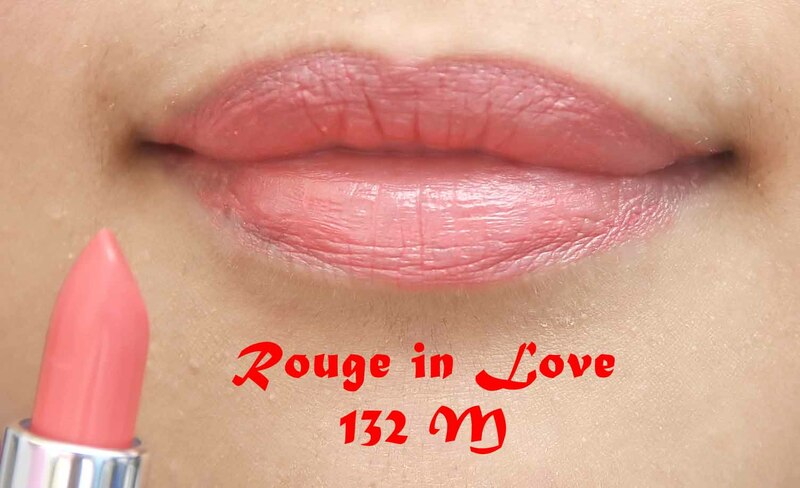 I usually advise readers to apply lipstick with a lip brush but not Lancome's Rouge In Love lipsticks, they are so creamy on tube that I enjoy the feeling of applying it straight from tube to lips! 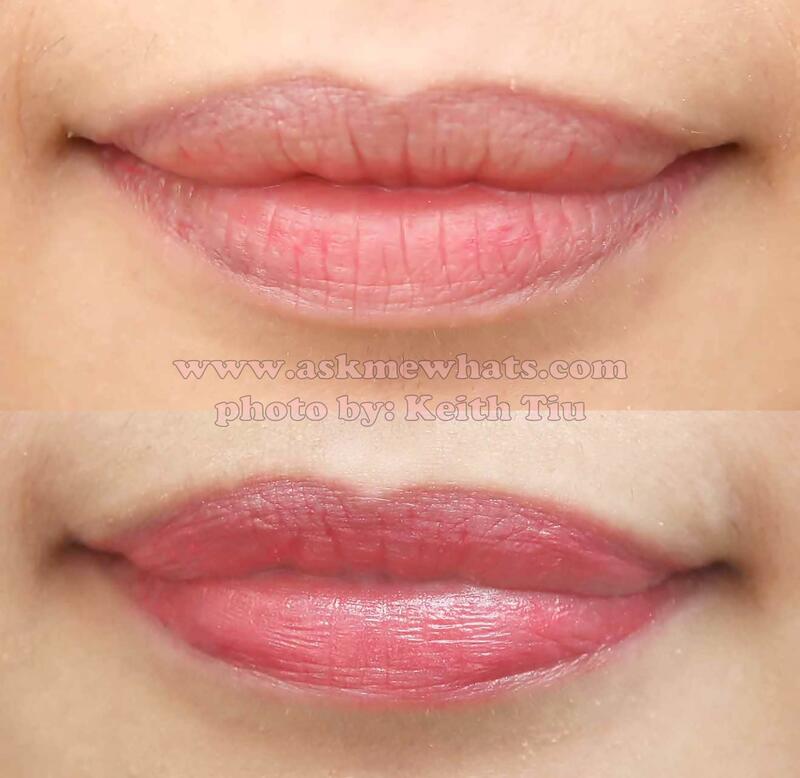 If you are a makeup artist, use a lip brush and wipe before dipping your brush again on the lipstick. For extra plump and shine, add a clear gloss at the center of the lips. This is a great day time lip color that's close to my original lip color. It has a pale rose pink type of shade that works for an office look, no makeup look or a nice coffee break with friends. A lip color that has enough shine for that late afternoon to night out! Though this lipstick shade is part of Boudoir Time, I feel applying this shade lightly on lips can still double up as a day time lip color! This reminded me so much of a Clinique lip color I own called All Heart but this one is a tad bit lighter. Personally speaking, I think all the lip shades from each category can work on different times! There's no limit to your makeup creativity! In simpler terms, Rouge in Love is a permanent line of lipstick from Lancome wherein different age group can enjoy! There's always a shade for everyone because there's a wide array of shades ranging from pinks, reds, corals, browns and nudes. 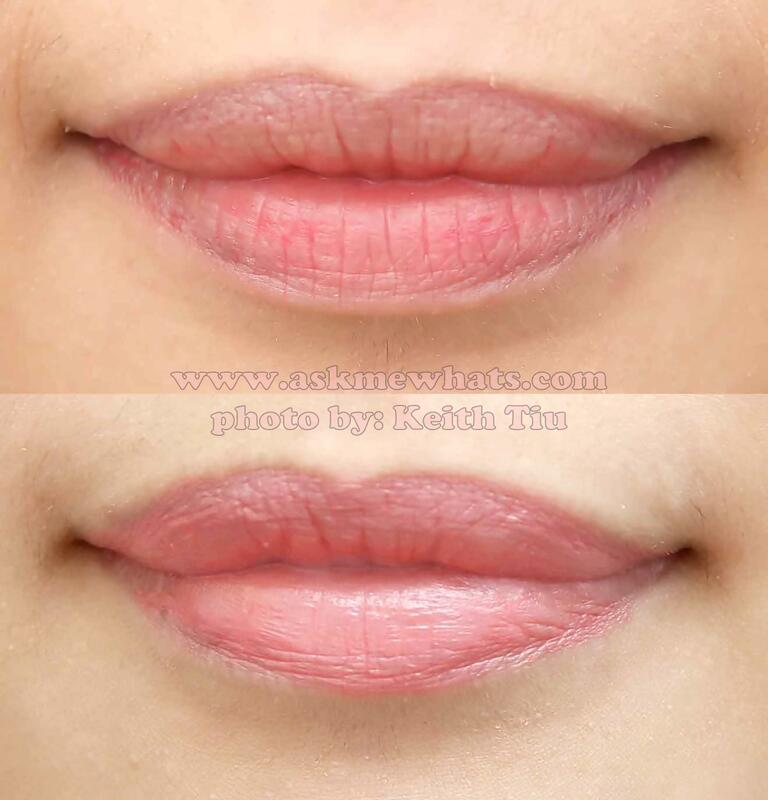 Would you change your lip color depending on time of day? How many times in a day can you change your lip color? I do change my lip color but it doesn't depend on the time of the day but it depends on the functions I'm attending to! 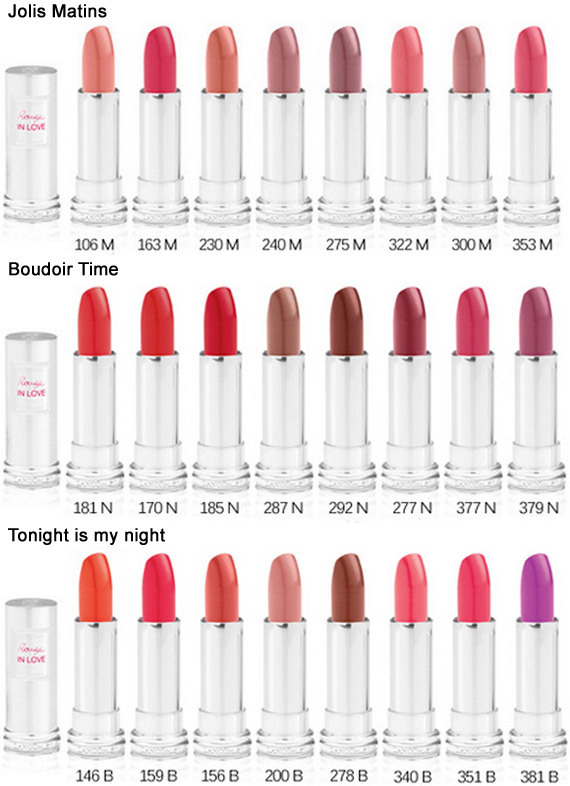 In a day, the most number of lipstick shades I can change is around 3 --- MAX! Share your lipstick stories! I'd love to hear from you! 163 seems like a nice color on you, very young and vibrant! #foreveryoung again! I love the first shade of lipstick, but a bit pricey ei.